Crescent Heights has proposed building a pair of tall residential towers in the South Loop, the shorter one rising 76 stories, about 829 feet. 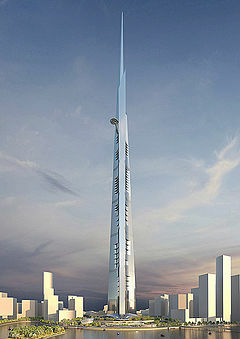 The taller tower’s planned height was not disclosed. The two towers would have 1,440 residential units according to DNAinfo, based on a presentation given at a neighborhood meeting on Sept. 23. The project would be built in three phases with the first, shorter tower, going up at 113 East Roosevelt, and holding 792 apartments, followed by the taller tower, which could hold as many as 648 housing units expected to be condominiums, the report said. A third phase would include town homes and a public park, DNAinfo reported. 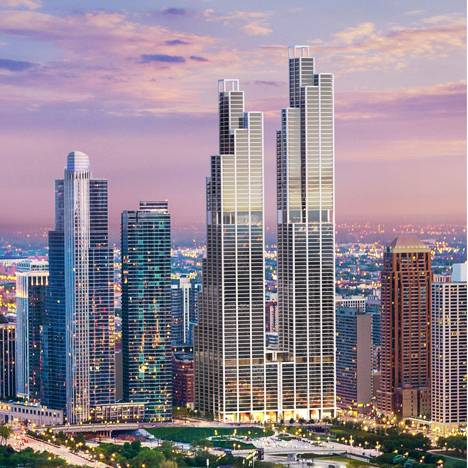 According to Crain’s Chicago, Crescent Heights owns the land where the towers would go up, having paid $29.5 million for it in 2012. Though this project would be Crescent Heights’ largest in Chicago, the report said, it already has a significant presence, having recently bought another South Loop apartment building with 298 units, among other holdings. Both reports said New York architecture firm Rafael Viñoly Architects designed the towers.